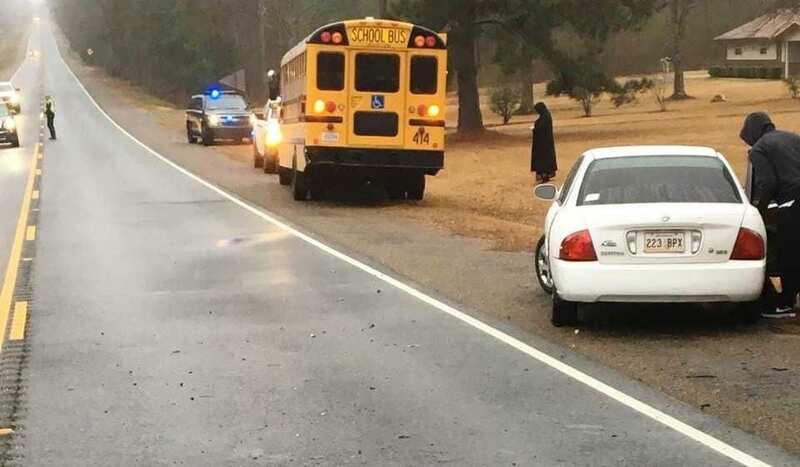 A school bus with three students onboard and another vehicle were involved in a crash Wednesday around 6:45 a.m. on Highway 3 near Abe Martin Road just south of the the town of Plain Dealing in north Bossier Parish. Bossier Sheriff’s Office deputies are working a minor crash this morning that involved a school bus and one vehicle on Highway 3. A school bus with three students onboard and another vehicle were involved in a crash this morning about 6:45 a.m. on Highway 3 near Abe Martin Road just south of the the town of Plain Dealing in north Bossier Parish. The students, bus driver and other adult onboard the bus are OK, and the students are being transported by another bus to Benton Middle and Benton High Schools. The other driver has minor injuries. Bossier Parish Schools Bus No. 414 was heading southbound on Highway 3 preparing to stop to pick up children when another vehicle crashed into the rear of the bus. While there have been no reported injuries to persons on the bus, the driver of the vehicle was treated for minor injuries. Conditions at the time of the crash were wet pavement, foggy and misty, and overcast.